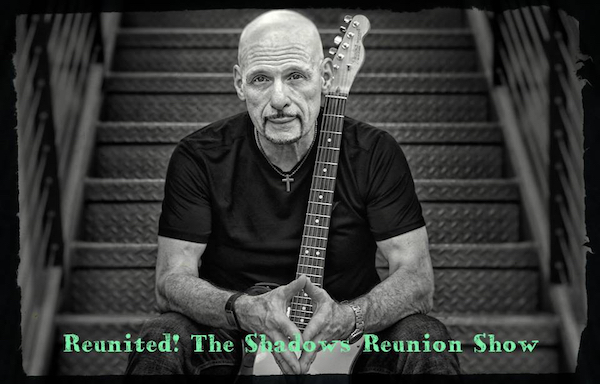 Original Shadows founder, Paul Campanella, is a headliner in Las Vegas at The House of Blues at Mandalay Bay having established his residency there on October 7th, 2017. Since 2006, Paul has performed at many showrooms both on the strip and off strip in the Las Vegas area including the Orleans, Bally's, the Rio, Planet Hollywood, the Sun City showrooms in Anthem and Summerlin and the Las Vegas Italian American Club. While in living in Buffalo, Paul co-founded 2 iconic Western New York bands, Junction West and the Shadows featuring the legendary Barbara St Clair. Paul lead the Shadows and performed with Barbara until his career took him to Las Vegas in the early 2000s. His contribution to the Buffalo Music Scene has been chronicled in 2 books, This House is a Rockin and The History of Buffalo Music & Entertainment. Paul returns home to reunite with his former bandmates for a one night only show at Sportsmens on Saturday October 6th at 8pm. Performing artists include: Carol Jean Swist, John Bryans, Ron Davis, Bob Falk, Chris Haug, Peter Holguin, Jim Ehinger and Terrie George.